RPA-REVERSE POLARITY ALARM. (FORMERLY SPI ) Audible warning if neutral wire of incoming 120v AC shore power line is “hot”. Meets ABYC E11 requirements. V500D: Watch alarm with switch for 10 or 15 minutes delayed alarm. V500DS: Watch alarm with switch for 10 or 15 minutes delayed alarm and movement sensor. A boat alarm is an electric device used to alert boaters to the existence of an abnormal situation. These models are intended primarily for pleasure/recreational craft. Such alarms can detect many types of unusual situations including water in the bilge, a fire, an intrusion, unauthorized boat movement, excessive exhaust temperature or an overfilled tank. They can be installed on almost any kind of sail or powerboat with a suitable electrical system. Battery models are completely autonomous. A motion, smoke, gas, water or other sensor sends a signal to a central unit that activates a visual or audio warning signal. Some have user interface displays. Systems with a SIM card can send a GSM message. 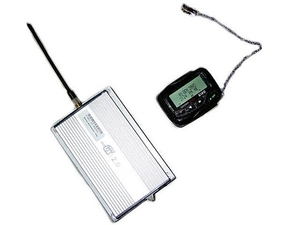 Some unauthorized-movement alarms can track a stolen vessel, periodically sending its position to a preset GSM number. Multi-function units can signal many different types of anomalies. Make a list of potential major risks and select the most appropriate alarm. Verify compatibility with your boat's power supply (12, 24, 32 V). Some insurance companies will pay part of the alarm cost or lower the premium when such units are installed.